You’re sitting there, dumbfounded, as you stare into your hands. Unfortunately, you’re looking at pieces of your teeth. You were playing basketball with your friends and got hit right in the mouth by an errant ball. You look in the mirror to see to see how bad it is and you panic. What do you do in this situation? You can’t wait a week for this to get fixed. This is the type of situation where you need call your emergency dentist in Federal Way. It’s the only way to get you the immediate help that you need. What are some other situations where you should do this? Dr. Drew Beaty wants to help you be prepared should you ever find yourself in the middle of a dental emergency. The first thing you need to do is stay calm. This will enable you to think clearly and take action. You should then immediately call Dr. Drew Beaty’s office. In fact, you should put our number in your phone right now so that you don’t have to look it up while injured. We will always try to make an appointment to see you as soon as possible, as well as let you know what you can do in the moment. Use a cold compress or over-the-counter medicine to minimize any pain you are experiencing. 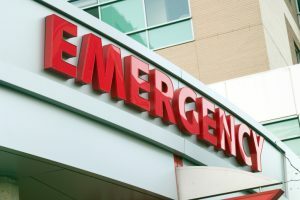 If you have other injuries such as broken bones or excessive bleeding, go straight to your local emergency room. A basic way you can prevent a dental emergency is to wear a mouthguard when playing sports…like basketball, and avoid chewing on hard things like ice or rock candies. Also, be sure to get regular check-ups with Dr. Beaty so he can catch anything that may cause you to have an emergency in the future. We’re ready to be there in one of your most stressful moments, and we know we can give you the exact type of care and attention that you’ll need. If you want to know more about what you can do in a dental emergency in Federal Way, please give us a call today.